The statistic shows the time to restore key business applications after a critical application outage, according to a 2016 survey of IT professionals. 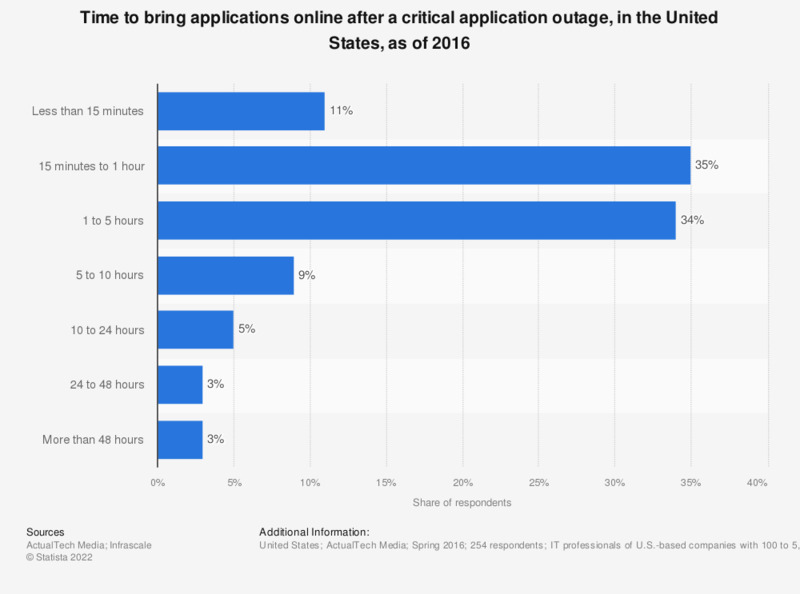 As of that period, 11 percent of respondents reported being able to bring key business applications back online within 15 minutes of the critical application outage. The question was phrased by the source as follows: "If a key business application crashes, how long would it take to get it back online? (runbook)"
Over the last six months, how many critical application outages has your company experienced?